In the second part of this series, I tried to explain the speed benefits of 5G WiFi using the road analogy. This concluding part focuses on another interesting aspect of 5G WiFi – reliability. While the increased speeds are great, reliability of the data transfer is equally important. What is the use of pushing video from your mobile phone to the TV quickly if you can’t see continuous and clear video? Further, the key is also to ensure that all areas around the home get reliable coverage. 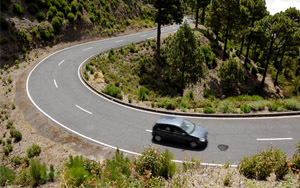 To draw the road analogy one last time, what is the use of a super-fast lane if it has pot-holes and is accident–prone? After all, commuter safety is as important as the traffic capacity! Beamforming is 5G WiFi’s mechanism to ensure that the data gets pushed reliably across a wider area. In a road, if there are pot-holes, there is an impact on traffic speeds as people get watchful. However, if the traffic is streamlined around these pot-holes and everyone steers clear of them, the flow is smoother, safer and faster. Beamforming does just that for the wireless connection. Beamforming recognizes elements in the wireless medium that impede the flow of data, and steers clear of them. There is directionality to the flow of data that helps in focused and reliable transmission. Beamforming, coupled with advanced data error correction mechanisms in 5G WiFi, guarantees that the higher speeds do not come at the cost of reliability and coverage. I have tried to simplify the technology behind 5G WiFi with the traffic analogy. Hope this helps you identify 5G WiFi as one of the next big things in wireless. The standard is designed to serve the growing consumer need for media content exchange and provide whole home video distribution. The consumer benefits not just from the increased speeds, but the greater reliability and coverage. And this dream is all set to become a reality in 2012! In the first part of this article, I described a basic analogy that exists between roads and wireless communications. In this part, I will explain the speed benefits and relevant innovations of 5G WiFi using this analogy. The one obvious way to solve traffic clogs is to widen the roads. This allows more commuters to use it at any point in time. Bandwidth is like the width of the road. Increasing the bandwidth of the wireless medium allows more data to be sent. With 5G WiFi, the bandwidth can be increased up to 4x that of 802.11n Wi-Fi. This allows for optimal use of the unlicensed 5 GHz spectrum. Incidentally, 5 GHz is like a highway or expressway without traffic lights or “interference”. Unlike the 2.4 GHz, the 5 GHz link is not affected by Microwave, cordless phones or Bluetooth devices, thus enabling data to go through more reliably. You can get more information on the benefits of the 5 GHz here and here. Another way to address the traffic issue is to mandate carpools and public transportation. This immediately allows more people to be transported for the same road-width. Modulation schemes serve a similar purpose. When a link uses higher modulation schemes, more data can be packed in the same bandwidth. 5G WiFi, in addition to increasing available bandwidth, has also incorporated the higher modulation scheme of 256-QAM for greater speeds. This higher modulation scheme allows us to transmit the same amount of data in lesser time. Carpools help us conserve fuel and go-green by reducing the number of cars on the road for the same number of people! The more efficient data transfer, together with the higher bandwidth, allows us to save battery life of devices using 5G WiFi making it ideal for mobile computing and transfer of media content! In summary, 5G WiFi’s innovations give us faster speeds and better battery life. In the concluding part of this series, I will describe the higher reliability offered by 5G WiFi using the same road analogy. 5G WiFi, based on IEEE 802.11ac forms the basis of next generation Wi-Fi – Wi-Fi which will get us 3x more speeds than similar Wi-Fi solutions today. The disruptive speeds brought to us by 5G WiFi are best explained by the traffic analogy. Roads are designed to transport people. A bigger, more organized road enables more people to commute at any point in time. The commuter experience is further helped by lack of accidents, pot-holes, and slower vehicles on the road. The communication link is similar to the road. While roads carry people, these links carry data from one device to another. Much like roads, the amount of data that can be transferred at any point in time really depends on how “wide” the link is and how smoothly and reliably the data travels through the link. Today’s 802.11n Wi-Fi is a good wireless link. It reliably transmits up to a few hundred Mbps of data wirelessly. But greater speeds will allow data to be transferred faster, and will therefore allow more devices to use the wireless medium at the same time. Data is very much like people on the road. Data also requires getting to the destination as fast as possible. But that goal is becoming increasingly difficult to achieve now. In traffic parlance, the 11n road is getting clogged, and there are people in ramps waiting to be metered in. 5G WiFi is designed to address the growing need to support more content and more devices. In order to provide these higher speeds and reliable coverage, the standard uses more bandwidth, higher modulation schemes, and features such as beam-forming. In the second part of this article, I will jump right back to the road to help understand what these enhancements bring to the table. In the post titled “The Need for 5G WiFi – The Media Challenge”, I suggested that the increasing amount of media content and the explosion of networked devices may make the current generation of Wi-Fi inadequate. Let me expand on that thought a little further here before presenting 5G WiFi as the panacea. The current (4th) generation of Wi-Fi technology also known as 802.11n has largely been deployed in the 2.4GHz frequency band. This band has limited capacity and is shared with other non-Wi-Fi gadgets/appliances such as baby monitors, microwave ovens, cordless phones and Bluetooth technology based devices such as headsets, computer wireless keyboards and mice, phones etc. With the medium being shared amongst all these devices, performance takes the back seat, and more so at the edge of the home. 802.11n also supports 5GHz frequency band – a lot cleaner medium than 2.4GHz, but the industry adoption has been very limited largely due to range limitations. 5G WiFi, based on 802.11ac, is the 5th generation of Wi-Fi technology5G WiFi benefits from the 5GHz frequency band. Further, 5G WiFi innovations focus on the pain points of the prior generations especially around media content consumption. 5G WiFi is 3-4 times faster than 802.11N giving us Gigabit wireless speeds. To put this in perspective, this is better than wired USB2.0 speeds and comparable to Gigabit Ethernet speeds. These increased speeds are achieved through a combination of support for wider channels up to 160MHz [compared to 40MHz in 802.11n], and higher modulations of up to 256 QAM [compared to 64 QAM in 802.11n]. This makes 5G WiFi an ideal option when synchronizing gadgets wirelessly at wired speeds. Also, 5G WiFi with its industry-specified beamforming technology provides range benefits that enable whole home coverage for media intensive applications such as streaming of HD content. Together, these innovations help 5G WiFi address the challenges faced by today’s Wi-Fi network in the face of the media challenge. In summary, 5G WiFi is exactly what the doctor ordered for the next gen in-home mobility experience! !